It may be time to anoint New Delhi as a hub for a reimagined Commonwealth, writes India Inc. CEO Manoj Ladwa. This week the Commonwealth Secretariat has launched a report which claims that if the UK and India sign a Free Trade Agreement (FTA), this could boost bilateral trade by a staggering 26 per cent. I am somewhat sceptical about the speed at which an FTA could be agreed and the figures. But nonetheless any moves in this direction is positive. It is also here that the larger canvas of the Commonwealth could provide a fillip to a much more meaningful UK-India relationship of the future. There are, however, some practical and emotional hurdles to overcome before we get there. For instance, India has been Independent for 70 years but even now some quarters in the country are still very prickly when it comes to discussions on the colonial era and India’s relations with the UK. Fortunately, such mindsets are fast becoming a thing of the past as the post-Cold War, post-9/11, post-Brexit world gets set for the next big challenges. As one of the former colonies that has, especially with the rise of Modi – India’s first Prime Minister to be born after India’s independence – made a decisive break with the past, India has in my view everything to gain and very little, if anything, to lose from this approach. 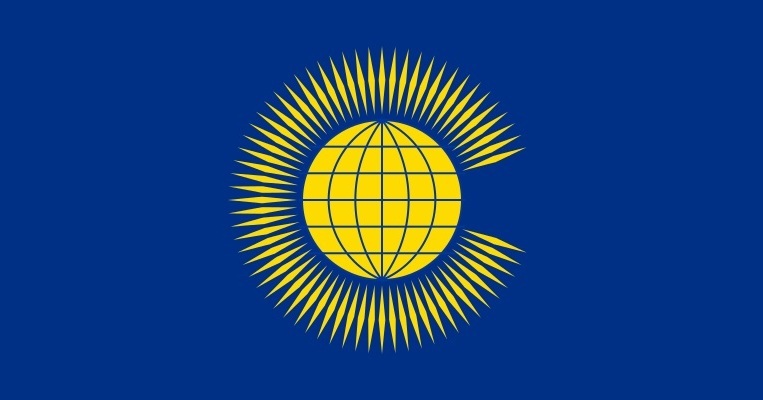 The Commonwealth could be one such institution that can become a vehicle to drive large parts of the world into the 21st century. Though there is an urgent need to reimagine it, not as Empire 2.0 as some misguided apologists for the past have done in Britain but as a modern, forward-looking trade bloc that can help its members navigate through the choppy and highly complex waters of the global economy. I have consistently argued that the UK has to do much of the heavy lifting following Brexit. This may be a good time to put its considerable global heft and prestige behind the move to reform and reinvigorate the Commonwealth and reimagine it as a global trading platform fit for the 21st century and beyond. It is for Her Majesty’s government to convince India, by far the largest Commonwealth member, to become its partner in the process. It is the world’s fastest growing major economy and clearly the nation to watch out for in this century. But over the years, India has viewed the Commonwealth with less than full enthusiasm. Today, though, the world is a different place. In the era of Donald Trump and with winds of isolationism gathering pace in some Western democracies, India’s global aspirations and its far-sighted and global minded leader Narendra Modi stand out as a bellwether in the global community. Given his penchant for getting things done and for carrying other countries along – as he did with the International Solar Alliance – the place to start would be New Delhi. The fight against poverty must take centre-stage, not through lecturing but real programmes, such as the export of the Jan Dhan Yojana, India’s highly successful financial inclusion scheme. Frankly, however, the often referred to issue in the corridors of Lutyens Delhi remains the future role of British monarchy. Having the Queen as the non-political ceremonial head of the Commonwealth has historically served it well, no doubt. And, in my view it is probably not as big an issue as some make it out to be, but the relationship between Prince Charles and Modi will play an important role in the emergence of the Commonwealth in the coming decades. The fact that the two men, who will find they have a lot in common, have not yet met, is one thing that needs to be rectified, and rectified quick. The advantages are obvious and massive – a readymade, English speaking bloc straddling every continent of the world, with common or similar legal and other systems, a combined GDP of $10.4 trillion or 14 per cent of global GDP and a population of 2.4 billion or a third of the world. The opportunity beckons. Does Mrs May’s government have the nimbleness to pick up the threads and weave it into a fabric? The article was first published in April Edition of ‘India Global Business’ magazine.